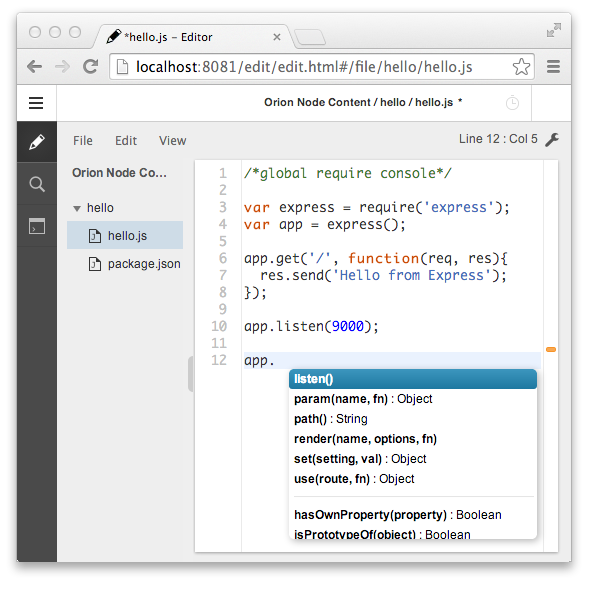 Eclipse Orion released its latest version 5, right before the most recent EclipseCon. This new version packs several exciting features, everything from stylistic change in the appearance to an streamlined cloud deployment. My favorite is the easy-to-use Node.js bundle. and then open your favorite web browser and point it to localhost:8081. Now you will be able to edit existing files and create new files and folder. This works even if you don’t have any Internet connection. Let’s take a look at a quick Express example. Once this simple application is written, we can launch it without leaving Orion, thanks to its shell feature. 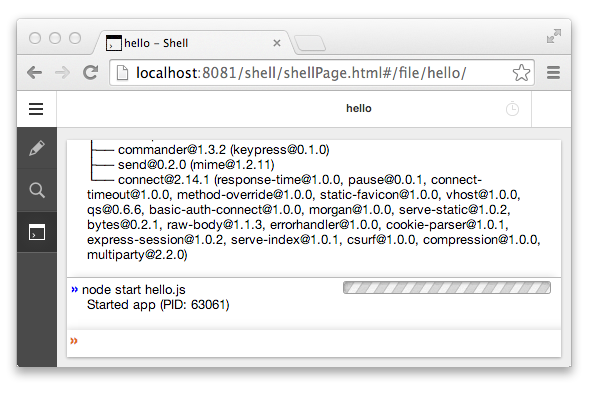 Switch to the Shell tab, run npm install followed by node start hello.js, and our simple Express app is up and running. It is also possible to try Orion via its online demos. 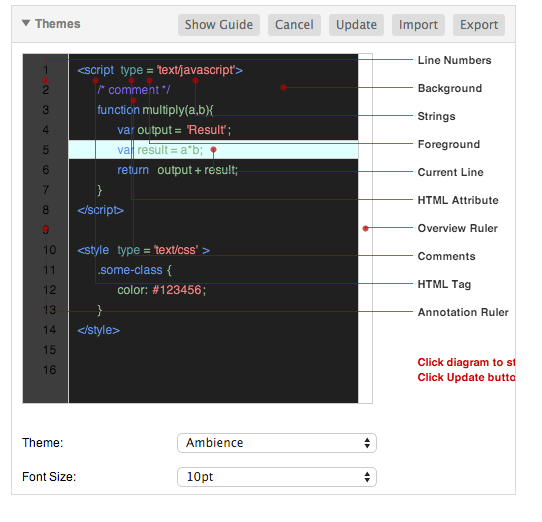 If you would like to check the capabilities of Orion editing component only, there is the pure editor example. For testing its complete features, it is recommended to go to OrionHub, create an account, and enjoy the test drive. Whether you are online or offline, web-based tools are just fun!